6.25 inch Force Hybrid Blue Wool Pad – This wool pad is similar to the regular purple foamed wool pad but has more foam in the core, making it denser. 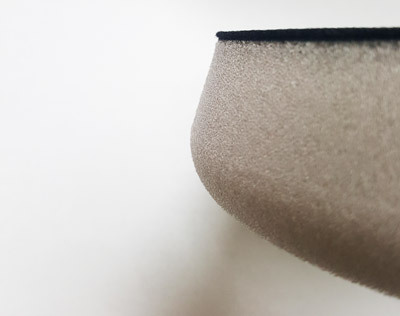 The foam-wool composition means this pad sheds less, cuts better, and leaves a smoother finish than a standard wool pad. 6.5 inch Lake Country Force Hybrid Grey Pad – This Force Hybrid foam pad provides the high level of cut expected from a heavy foam cutting pad, but finishes like a foam finishing pad! It removes moderate to severe paint imperfections like swirls, scratches, and marring. 6.5 inch Lake Country Force Hybrid Orange Pad – This light cutting pad features super dense construction which enables it to remove defects quickly without compressing, like softer pads can. 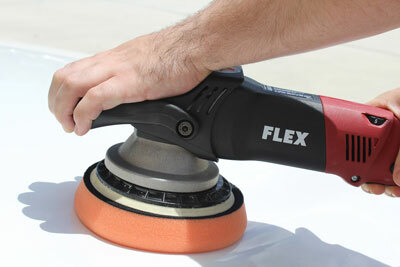 This pad will remove light to moderate paint imperfections like swirls, scratches, and light marring. 6.5 inch Lake Country Force Hybrid White Pad – The white Force Hybrid pad features very dense foam. Use this pad to remove light imperfections, apply a light polish, cleaner wax, and any jobs for which you'd use the standard Lake Country white polishing pad. 6.5 inch Lake Country Force Hybrid Black Pad– This pad provides no mechanical cutting ability but thanks to its dense foam, it provides superior control while polishing. It features super soft foam, which makes it ideal for finishing polishes, waxes, sealants, and glazes. 6.5 inch Lake Country Force Hybrid Red Pad– This soft, Force Hybrid foam is ideal for applying the final coat of wax or sealant. The foam works especially well when applying liquid waxes or sealants because it is firm enough to keep the majority of the product on the paint, rather than soaking it up.